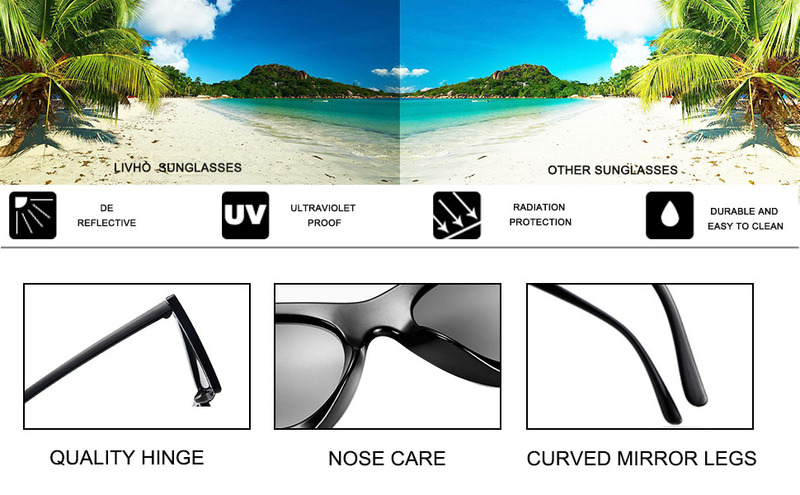 - HIGH QUALITY MATERIALS -Unbreakable PC frame, colorful flash mirrored revo lenses, foreign style comfortable nose pads, solid metal hinges, exquisite temples, all the details ensure you a perfect performance. 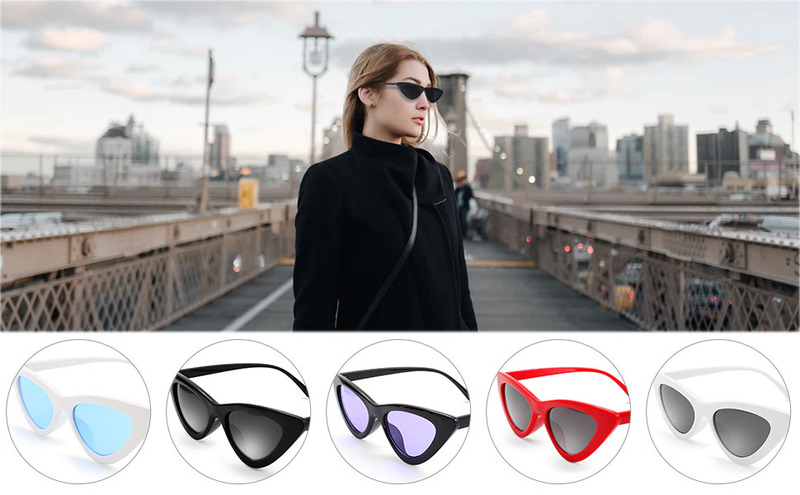 - ARROW SLIM FASHION DESIGN - Retro 1990's cat eye sunglasses featuring an exaggerated cat eye silhouette with a slim design. Complete with neutral colored lenses and high sitting arms, these stylishly chic sunglasses are the must-have accessory to accent this season's outfits. -SKIN-FRIENDLY NOSE PADS - Environmental & skin-friendly materials. Elastic and weight-free features enables you a long-time wearing without fatigue.